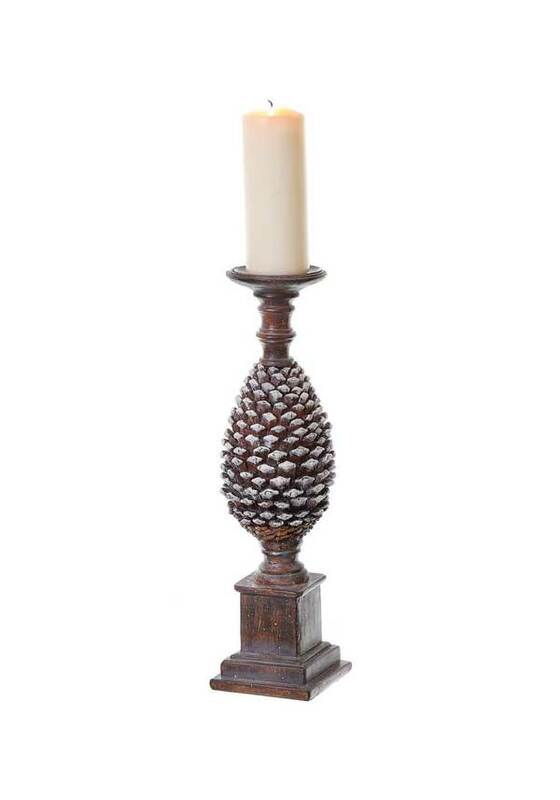 In dark wood, delicately dusted with snow, this striking 15” candle holder will add a touch of winter chic to your home this festive season. A large candle holder, it’s suitable for pillar candles. Candle not included.